If your trail camera strategies only include utilizing them in the fall, you are potentially missing out on valuable deer information. Of course, information obtained from trail cameras in September and October is important to plan fall hunting opportunities. 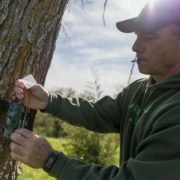 Setting up trail cameras has to be a yearlong effort, however, in order to maximize their value and ultimately your hunting success. 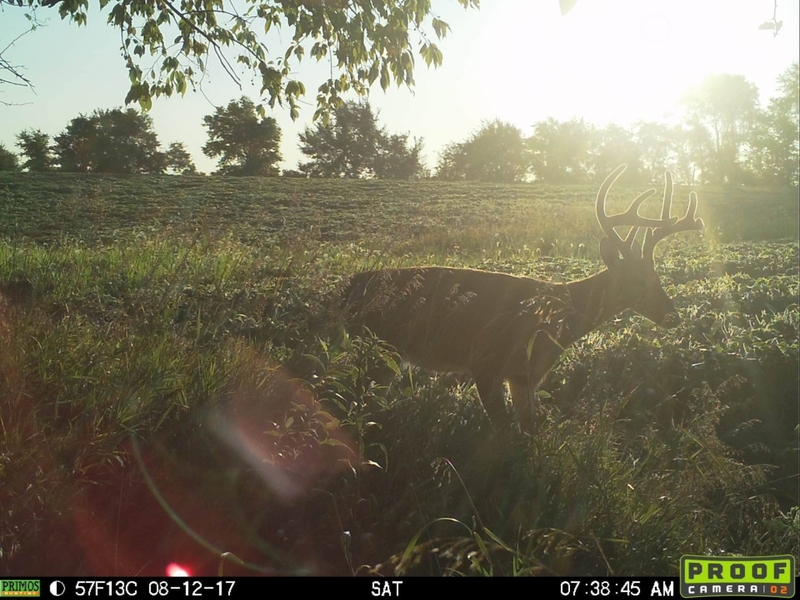 A ton of information can be acquired throughout summer, which means summer trail camera strategies have to be an essential part of your scouting and deer hunting preparation plan. Trail camera strategies have exploded over the last several years. Years ago the novelty of capturing big buck images was all the rage. Although today, more and more hunters are realizing the true benefits trail cameras provide when it comes to hunting. Being able to remotely collect deer information in multiple areas is one of the biggest benefits of setting up trail cameras. The key is, however, you need to be using your trail cameras throughout the entire year and not just when hunting season rolls around. Summer trail camera strategies are important for two reasons. First, you will be able to observe fawn recruitment. Documenting the number of fawns that make it through the summer using trail cameras is an ideal way to track predator impacts and the reproductive potential of the herd on a given property. The second important reason to run trail cameras during the summer is to track bucks. Beginning now, you can start to see which bucks are using a particular property and how. Antler development deficiencies can also be observed and mitigated early by using game cameras and implementing a summer deer feeding program. Ideal places to set deer cameras in the summer like around high-quality food sources are much different than areas you are likely to find deer and more specifically bucks in the fall. But realizing this and monitoring the herds on your properties over the summer will expose critical information for a better fall hunting. Deer are fairly predictable from June to August in most parts of the country. Most of their activity will be focused on high-quality food sources and water. For this reason, summer trail camera strategies should be relatively simple. High-quality food sources – Both does and bucks are focused on forage high in protein and loaded with macronutrients during the summer. 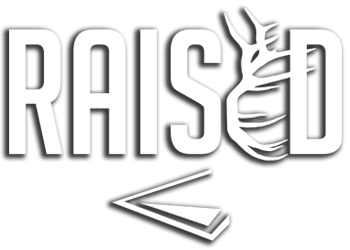 Protein is important for antler development and fawn rearing and development while macronutrients are key for antler growth and proper fawn growth. 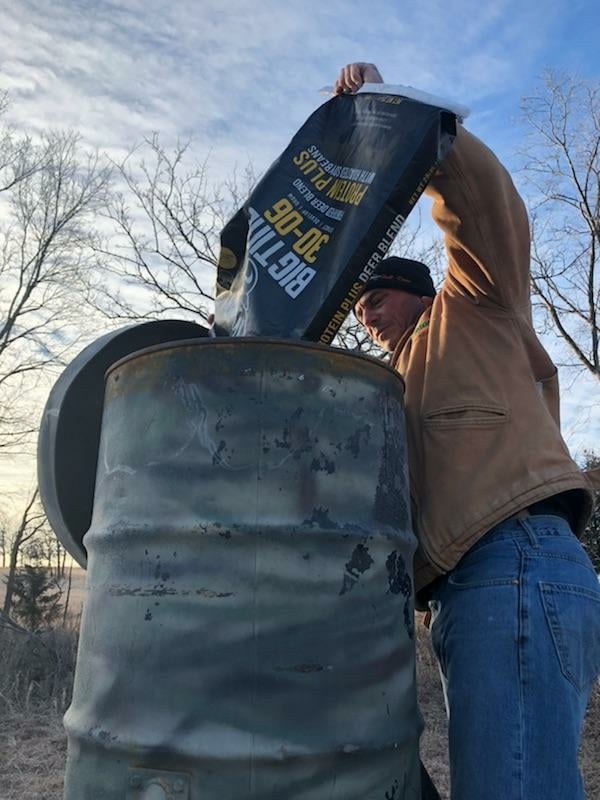 Places to set deer cameras include edges of bean fields, along with food plots planted in high protein forage such as peas or lab-lab and at mineral stations (where legal) loaded down with Big Tine Protein Plus. Watering Holes – Deer will, at some point, arrive at a waterhole during the day. Focus trail camera placement strategies on reliable water sources such as creeks, spring seeps and ponds. Lookfor heavily worn trails leading to the water’s edge as an ideal spot to set up your camera. Travel Corridors – With deer feeding and drinking most summer days, it should not be a surprise that travel corridors are one of the best spots for trail camera placement. Travel corridors are somewhat less reliable than food sources or watering holes because they do not concentrate deer together consistently. However, you can often get more pictures of non-resident deer on travel corridors who may have eluded your other summer trail camera setups. Find heavily worn trails from food sources to water or look for natural funnels that lead from bedding areas to food sources. After you have decided on your top spots to hang your trail cameras, you have to consider your trail camera settings. First and foremost, keep your Primos game cameras in photo mode. Deer in the summer tend to stay over forage or mineral sites for long periods of time and video mode will simply eat up card space without providing any additional information. A basic setup to get the information you need is a 3-minute interval between photos. Any faster interval will mean more photos of the same deer. Set trail cameras to their highest sensitivity setting when positioned on food plots or agricultural fields. This will help capture images of deer who may have entered the field from a secondary trail. Trail camera settings like trigger speed will vary depending on where your trail camera is set up. When positioned on travel corridors, trigger speed should be fast in order to capture photos of moving deer. On the other hand, trigger speed does not have to be fast on cameras surveying food or water sources. 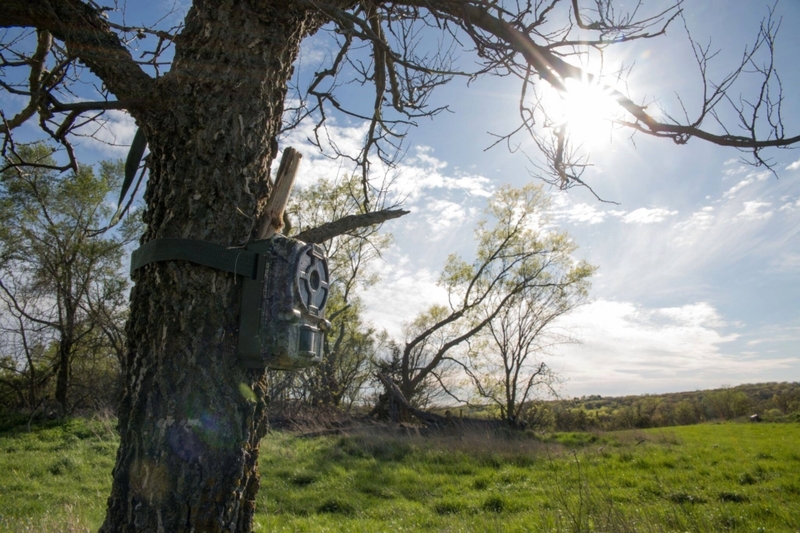 There are two other important summer trail camera tips for setup. First, check summer trail cameras frequently early on to make sure deer are using areas you are positioned in. For example, a trail camera positioned on an unused food source or deer trail provides no information. You will want to take advantage of your scent elimination products from Scent Crusher when checking cameras early in the summer, or anytime for that matter, to avoid burning a good camera location with your scent. The other important tip is to set up cameras north or south to avoid sunlight exposure on images. The last thing you want is your morning and evening photos, the most critical times of the day for deer activity in the summer, whitewashed out from sun exposure. No different than other times of the year, there are certain things you need to think about when implementing your summer trail camera strategies. Here are six items to check off with each camera you position this summer. Check batteries – If your cameras have been hanging during the spring, the best option is to change all batteries. Change batteries before you leave the house so you don’t have to carry them with you or forget which batteries are good and which are not. 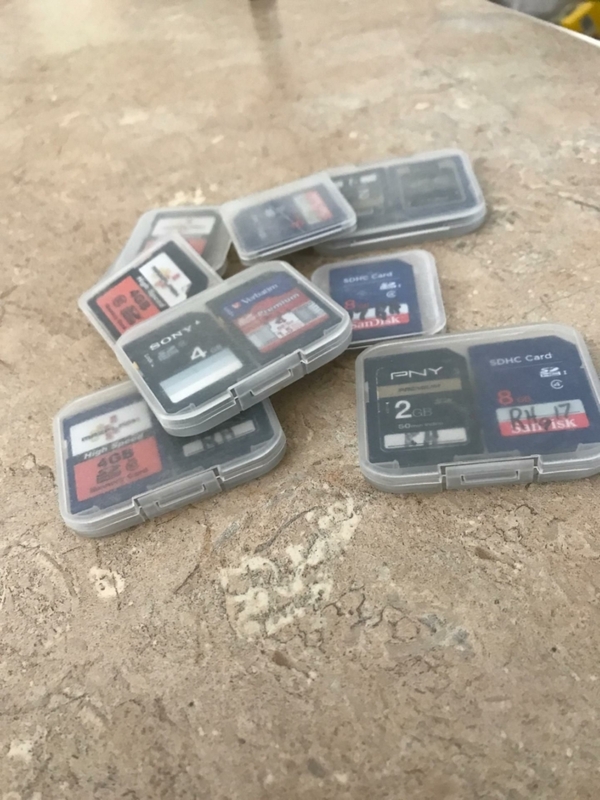 Check storage cards – Make sure you have an empty storage card for each camera. A good practice is to download each card after you pull it and store them on a computer or another device labeled in folders with date and location. Then each time you check your trail cameras you can simply swap out the cards. Update camera settings – As mentioned earlier, you will need to modify your camera settings for your summer trail camera strategies. Go through each camera and update the settings appropriately. Also, check the mode and date/time settings to make sure you are good to go. Replace straps – Camera straps can get worn over time. Check them before each deployment so your trail camera doesn’t fall and get damaged. Bring branch snippers – It’s rare you find the perfect tree when setting up trail cameras. A pair of hand snips can make easy work of trimming an opening for your camera. Hang them at the right height and angle – Nothing is worse than getting a bunch of pictures of half a deer because your trail camera mounting height is all wrong. A good rule of thumb is to mount a camera just above waist high. Also, if you experience camera shy deer, you may want to try a higher positioned camera with a downward angle. Summer trail camera strategies are just as important as using trail cameras any other time of the year. Critical information such as fawn recruitment and antler development can be obtained right now with correct trail camera placement. Use the summer months as a building block to great fall hunting by taking advantage of trail camera setups now. Hunting Technology | How Far Are You Willing To Go? Great article. I think you are right that hunters are catching on to how useful trail cameras are. Even still, hardly anyone I know uses them during the off season. Their loss!